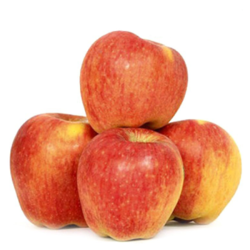 Red Delicious Apple is a dark red, crispy and luscious apple with a distinctive elongated, heart-shaped appearance. It has a refreshing flavour and can be used in salads, pies or custard. Red Delicious Apple is a dark red, crispy and luscious apple with a distinctive elongated, heart-shaped appearance. It has a refreshing flavour and can be used in salads, pies or custard.